Got Pre-Loaded Songs on your Apple iPod ? 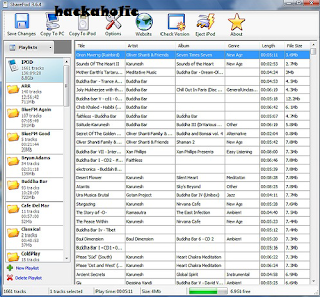 & Want to copy songs off your Apple iPod to your PC? You can use the small program SharePod to do this job for you. 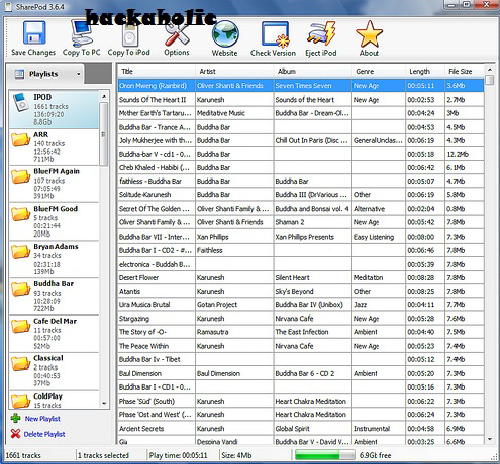 After installing this tool, you will be able to exchange any music file between the iPod and your Computer. This makes it easy to copy songs from your iPod and Transfer them to your PC easily.So just follow these simple steps ! and it is totally fun ! You can do this by selecting the songs from a list just like in iTunes, and then clicking the ‘Copy to PC’ or ‘Copy to iPod’. Additional features include an integrated media player and an editor for ID3 tags. Sometimes it happens when the program does not identify your iPod, if this happens with you Kindly start iTunes so that device is initialized properly. Share Pod can access the ‘iPod_ControliTunesDB’ file required for identification and thus read the music files stored in the device ! Remember if you do direct download then you will download a English version ! if you wanted any other language then you needed to go to www.microsoft.com . Now you can run Share Pod and copy music in your PC. But if you don’t wanted to copy music with Share Pod you can copy your music from Apple iPod directly via Windows Explorer also !, but Copying from Windows Explorer are little bit difficult ! as you cannot identify the sings as they are scattered across various folders and their names are masked , possibly to avoid pirates ! Go to Tools > Folder options > View. Connect your Apple iPod and go to the drive ! There you can find the folder with all the songs, Just copy them all ! As you cannot see the songs name you cannot copy chosen songs ! So the best way is to copy them all !So that’s all ! I recommend you to use Share Pod to copy songs ! as Windows Explorer Method is difficult !So do Comment below to share more methods with us !